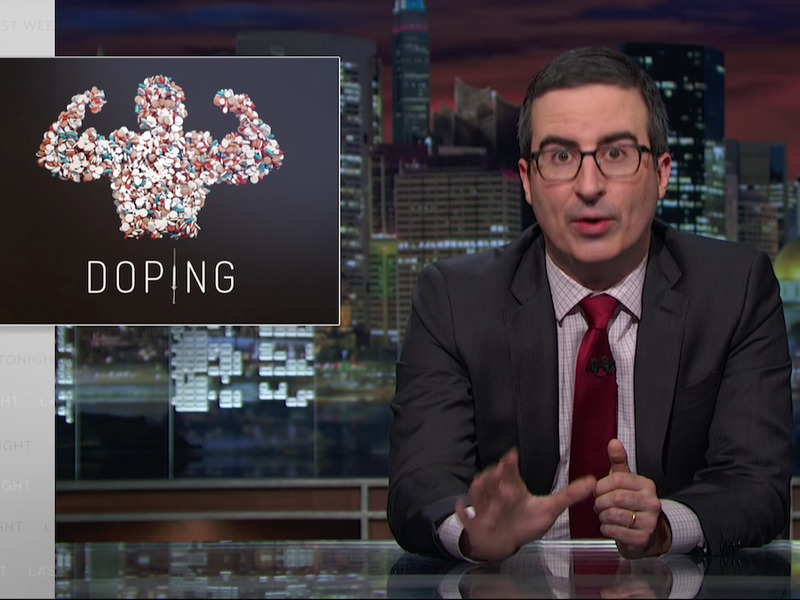 As the Summer Olympics approach, John Oliver dedicated Sunday’s episode of “Last Week Tonight” to the pervasive problem of doping. Athletes using performance-enhancing drugs has been a major problem in the Olympics, most recently with the ban of Russian track-and-field athletes from this summer’s Rio games. Through various whistleblowers, it has been alleged that the athletes were doping with the help of the Russian government. But Russia isn’t the only problem. Oliver points to one anonymous survey in which 29% of track-and-field athletes at the 2011 world championships said they had doped within the past year. It’s also surprising to Oliver when one considers the rigorous methods implemented to monitor athletes and to detect doping, including random tests and around-the-clock doping chaperones. Additionally, WADA has been found to lack the authority to investigate anti-doping within countries like Russia and must rely on relationships with other organisations that may not be truly free of bias. Just six weeks before the Summer Olympics, the Rio lab that was set to handle drug testing at the games was suspended by WADA. So why don’t we just give up? The host does have a suggestion for fixing the system: Make WADA truly independent and put more pressure on the sports community to combat doping.